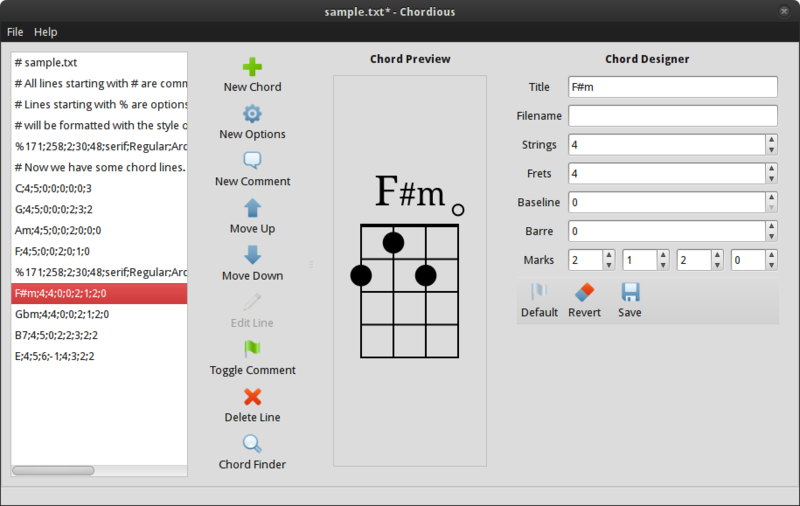 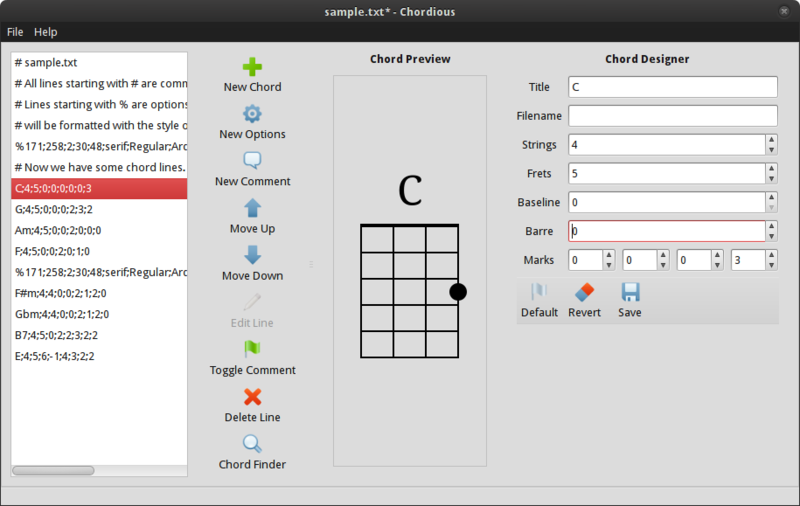 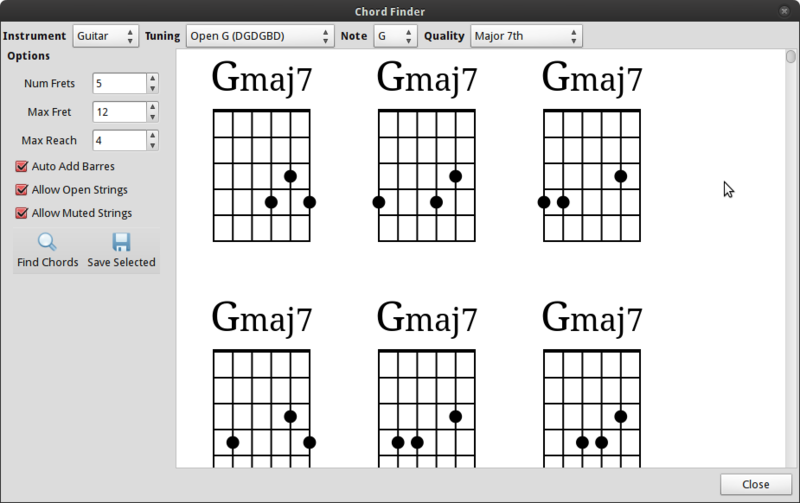 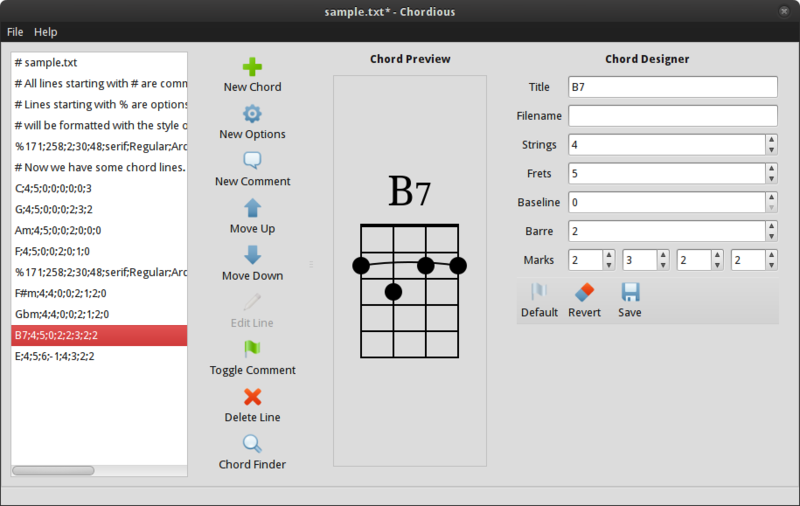 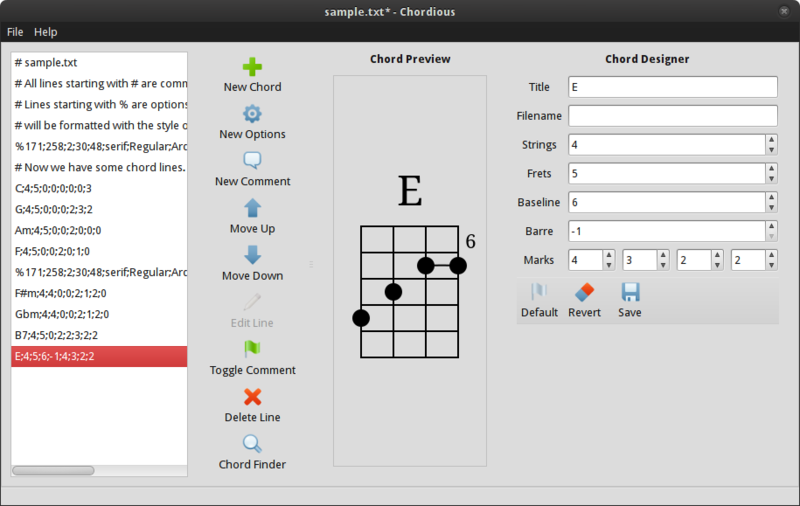 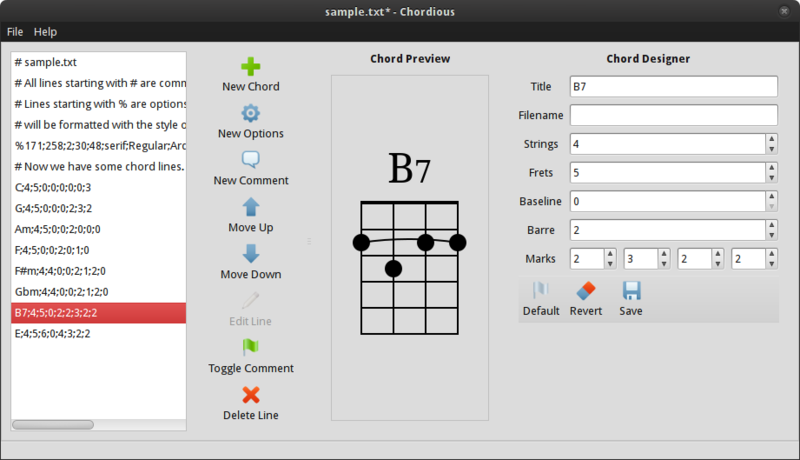 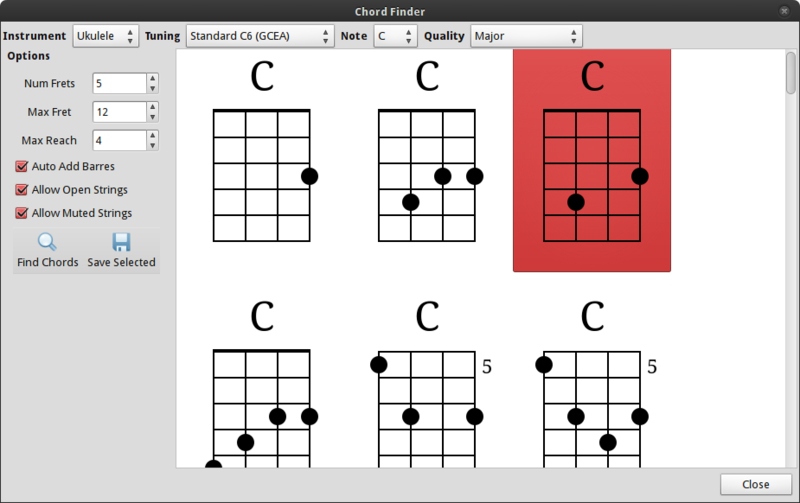 Chordious 0.4.0 available, now with a graphical chord designer! 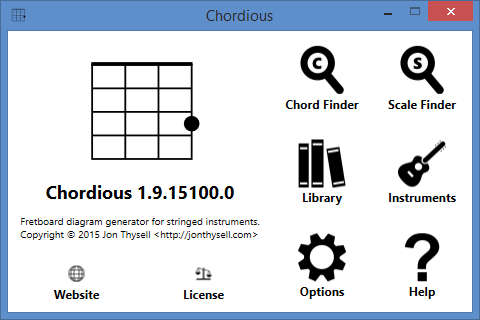 It’s been a couple months since I first released Chordious, my free app to generate beautiful chord diagrams. 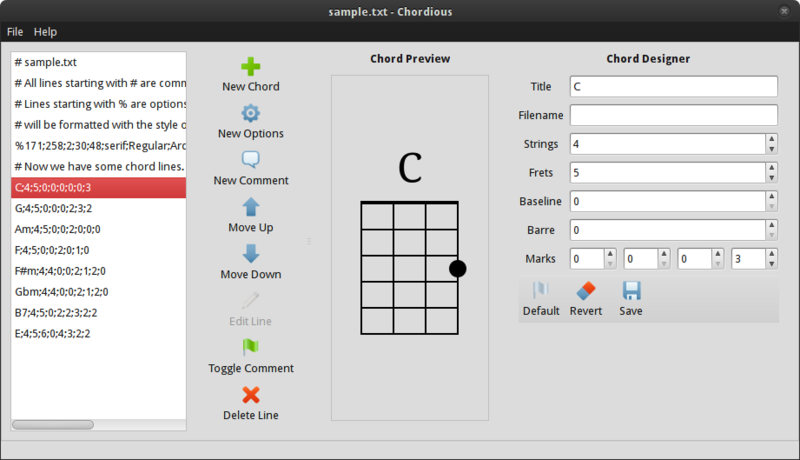 The first version was mostly just functional- a pain to use command-line utility that required users to create a custom text file with all of the chords they wanted to make. 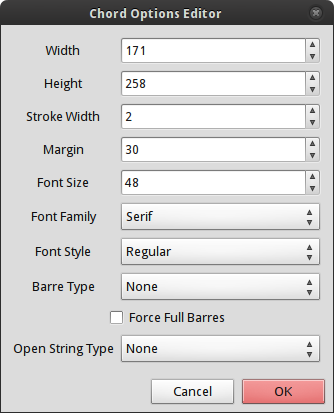 But a pain no longer! 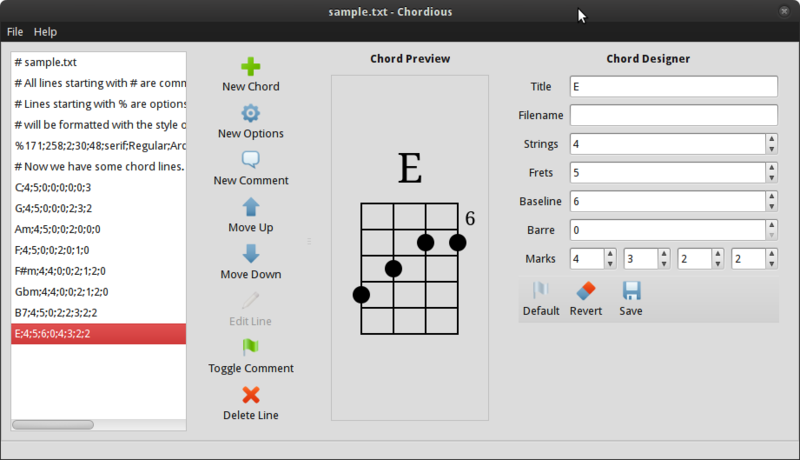 Now it’s easy as pie to make chord diagrams for all of your favorite stringed instruments, from the ukulele to the guitar. 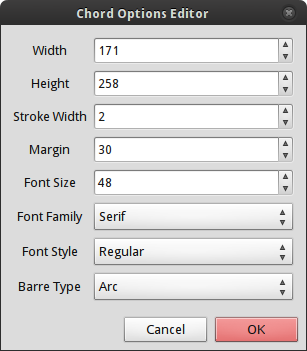 Give the new designer a whirl and tell me what you think!